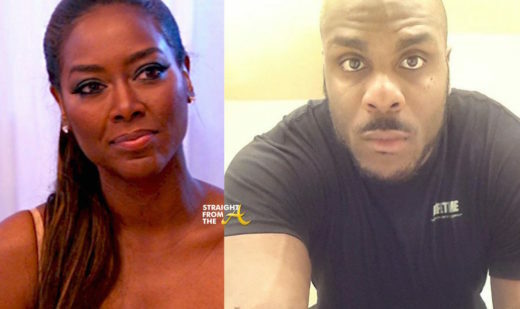 Another day, another angry rant by Kenya Moore‘s rent-a-date, Matt Jordan. 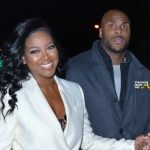 As you know, it’s not the first time Jordan has hit the ‘gram to vent about his employer but THIS time, it seems he’s had enough! 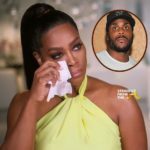 Jordan is upset because he put in so much hard work during the season and didn’t get his chance to sit on stage during the reunion show, which began taping yesterday. For the record, the men get $10k just for showing up alongside the woman and Matt is angry that he won’t get that chunk of change this year. 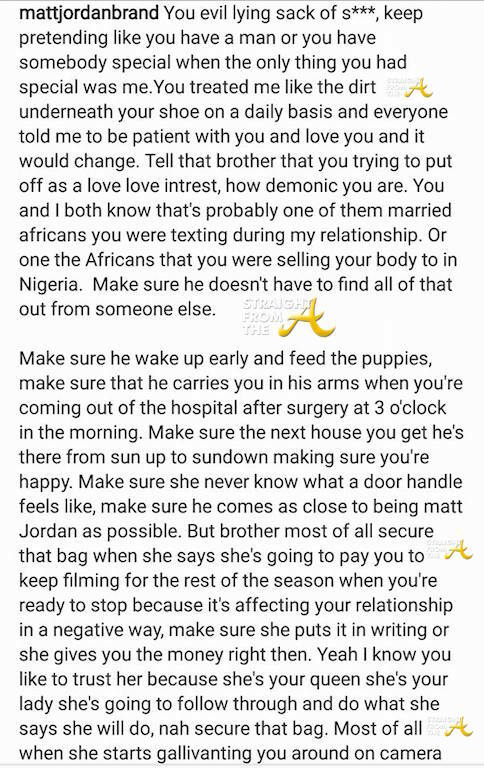 He’s so angry in fact, that he’s decided to spill ALLLLLL Kenya’s tea. 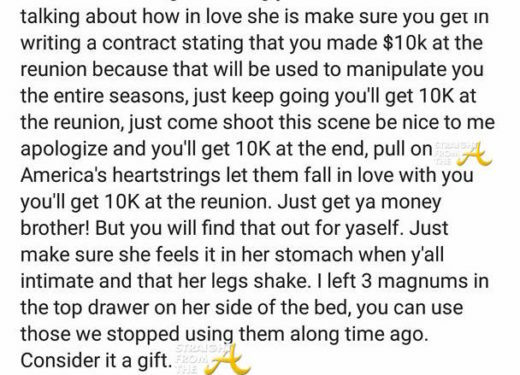 Rent-A-Matt Jordan took to Instagram yesterday to call out the former Miss USA, and says he filmed season 9 without getting paid because he had his eye on the prize… the $10k that the men get for the reunion show. A fact which I’ve been telling y’all for months now. Matt was only there because of promises of payment… PERIOD. Hence his suitable nickname… Rent-A-Matt. 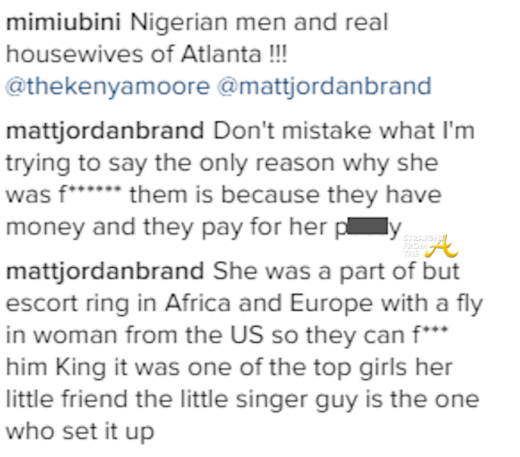 Jordan also hit the comment section of the post, where he divulged that Kenya is still involved with an “African” and that she has been selling her body in Nigeria. For the record, Matt has since deleted the post but as you know, deleting things don’t make them disappear. 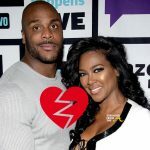 Meanwhile, Kenya is currently busy filming this season’s reunion show and I’ll try to spill more info on that later. 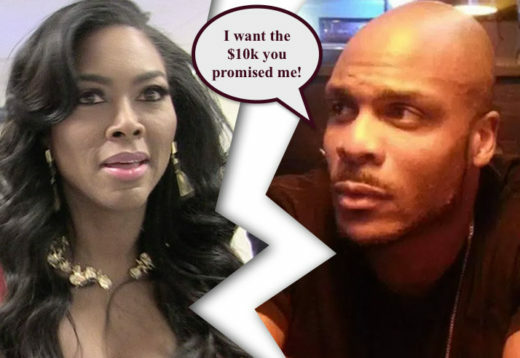 What do you think of Matt Jordan’s latest rant?